Need advice, or maybe just a cup of great coffee? The Indawo team shares one heart beat, and this is what makes us successful. Our management team is aligned to similar thought processes, but each with a challenging mindset to push the boundaries of innovation. Indawo staff also reflects the diverse South African cultural landscape with athletes, promising musicians, and even a cook book author that combine to make up a pretty lively bunch of people. What we do share though, besides incredibly ripped bodies, movie star looks and unique charm, is a passion to bring a solution to make your life easier. Geoffrey Jäck took over as Managing Director in 2013 and has driven the group through unique challenges. He now holds the position of Group Managing Director. His vision is to bring solutions to make your life easier and this is a commitment he will not compromise on. Geoffrey is a family man who loves the outdoors. He enjoys nothing better than watching a game of football and supports Man U, lying 6th currently as at April 2019, but then again, we did not say he is perfect. Geoffrey’s skills extends from painting, waterproofing and remedial construction works to roofing and flooring in Cape Town, Western Cape and Johannesburg and Pretoria in Gauteng. From floor to roof, Geoffrey will provide tailored solutions for your building refurbishment project. There is not much we can say about Peter that has not already been said before. Peter’s enthusiasm and incredible drive and passion is an inspiration for everyone in the company. Peter continues to provide motivation and support to all involved with the group, which is something each person cherishes immensely. Peter has been in the game for more than 35 years, bringing technology to play in the painting, waterproofing, roofing and building refurbishment industry. There is very little Peter does not know about the industry and you can be assured that with him, you will get the best. Wayne Lentz has recently been appointed as a Director. Wayne has great experience in everything to do with tenders and has consistently ensured Indawo wins vital tenders. Wayne quietly goes about his daily functions but packs a punch when he formulates and wins tenders. Wayne’s meticulous attention to detail before, during and after the tender process gives you the best of all worlds. From pricing of tenders to precise execution, Wayne ensures your project remains on track and delivers on time and in budget. 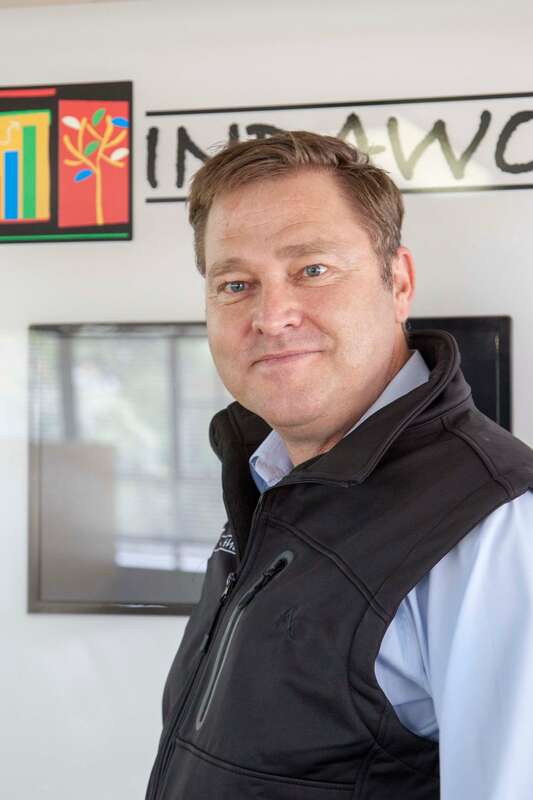 Barend Engelbrecht brings years of industry experience to the team. He is a well-respected leader in the industry and has built a reputation for reliability and innovation. His ability to harness the strengths of a team and a business allows Indawo to develop further into the best of the best. Barend’s experience in the field of painting and business puts Indawo in a competitive advantage, with clients assured of a project that is priced correctly and produced to top standards. Let's meet up. We are always available. Contact us any time, but please do let us know where you saw or heard of us. Where did you hear about us: Yellow Pages, our signboards, our vehicles, our website, social media, Google, magazine or newspaper, a referral, existing client or other?